The worldwide cruising adventures of James and Jennifer Hamilton continue, as the Seattle couple arrived earlier this week in the Swedish town of Kalmar on the Baltic Sea on their Nordhavn 52 Dirona. Pushing the season, they left Amsterdam at 0500 on March 19, with frost on the deck, to head for a spring and summer in Sweden, Finland and Norway. The Hamiltons had been in Amsterdam for five months, and they wrote on their blog that it was time to go. “We’re loving being underway again. It’s been such a long time since we were at sea.” They hit fog almost right away, traversed through locks, had close encounters with large ships in the Kiel Canal, and filled up with duty-free diesel at Heligoland, Germany. They took on 888 gallons, at a price of $4.25 a gallon, which is reasonable by E.U. standards. And they went ashore for a pizza and a German beer. They were early in the season on the Baltic, where they encountered almost no recreational boats, and certainly none from the U.S. The prices were right: One night they had to pay the equivalent of $42.75 for a mooring when they got to Denmark. And they played tourist, climbing the famous Mons Klint chalk cliffs that stretch for four miles on the Danish island of Mon and are reminiscent of the white cliffs of Dover on the English Channel. 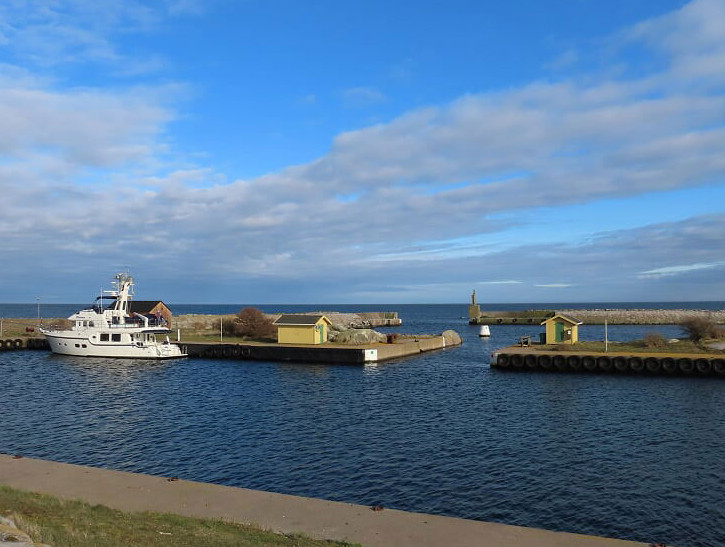 Then they spent three nights in Ronne, the largest town on Bornholm, another Danish island, with a picturesque small boat harbor, cobblestone streets, and a church dating to 1350. The Hamiltons took their bikes off Dirona to ride part of the 142 miles of bike paths on the island. Then, after clearing Swedish customs, and declaring their cat Spitfire, they cruised up to a berth in the center of the small town of Kalmar, while people were having lunch outside on a warm and sunny day. A local cruiser, who had been reading their blog, welcomed them with a selection of local craft beer.